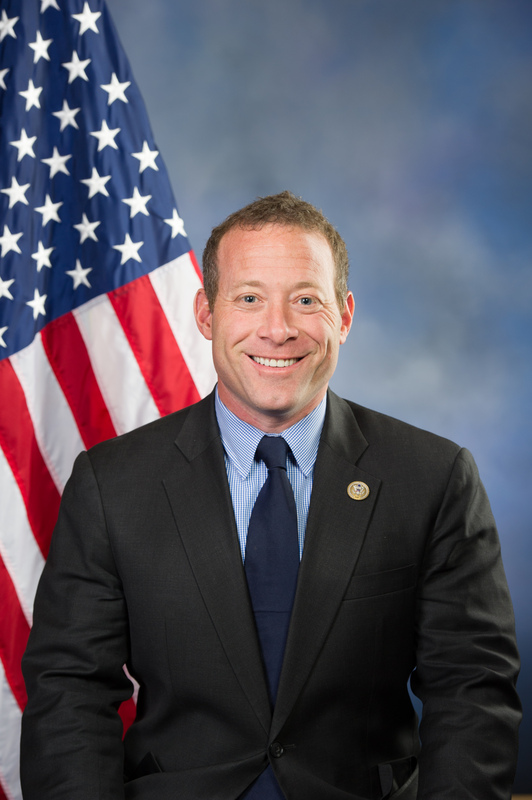 Josh Gottheimer represents New Jersey's Fifth Congressional District in the northernmost part of the state, which includes parts of Bergen, Passaic, Sussex, and Warren counties. He was sworn in on January 3, 2017. In Congress, Josh serves on the House Financial Services Committee where he works on three Subcommittees: National Security, International Development, and Monetary Policy Subcommittee, the Capital Markets, Securities, and Investments Subcommittee, and the Diversity and Inclusion Subcommittee. In February 2017, Josh was elected Co-Chair of the bipartisan Problem Solvers Caucus, where he works to bring the group of 24 Democrats and 24 Republicans together across party lines to find areas of agreement on key issues including lowering taxes, cutting burdensome and unnecessary regulation, lowering health insurance premiums, and improving infrastructure to help the American people. In March 2017, just months after being sworn in, Josh passed his first amendment in the House, which was later signed into law, to accelerate the hiring of post-9/11 veterans at the Department of Veterans Affairs. In April 2018, Josh’s bipartisan FRA Safety Data Improvement Act passed the House by a unanimous vote. The Act brings consistency and the power of big data to help improve rail safety in North Jersey and across the country. Josh is committed to lowering taxes and getting Fifth District residents a better return on the tax dollars they already send to Washington. Working with Fifth District mayors, councils, first responders, and towns, Josh has helped the Fifth District claw back $290 from Washington for every household in the Fifth District—a 16% increase from what the District has historically received. These dollars help first responders protect the community while offsetting the strain on local budgets and property tax bills. For his support for pro-growth policies in Congress, the U.S. Chamber of Commerce awarded Josh its Spirit of Enterprise Award. For his consistent work on both sides of the aisle and as Co-Chair of the Problem Solvers Caucus, Josh was recognized as the most bipartisan Democratic freshman Member of Congress by the Lugar Center and the McCourt School of Public Policy at Georgetown University. Josh was raised in North Caldwell, the son of a preschool teacher and a small business owner. Growing up, Josh worked in his father's store and, like your average New Jersey kid, treasured summer vacations at the Jersey Shore. His first concert was at the Meadowlands to see the one and only Bruce Springsteen! Josh graduated from West Essex High School before attending the University of Pennsylvania, later becoming a Thouron Fellow at Oxford, and then paid his way through Harvard Law School. After finishing college, Josh went on to work in the Clinton White House as one of the youngest presidential speechwriters in history. Josh wrote speeches on topics ranging from the global economy to technology and innovation to combating crime; he also helped draft two State of the Union Addresses. After leaving the White House, Josh worked at the Ford Motor Company, where he helped rebuild the iconic auto company’s image and worked on the first American hybrid. Josh was also a Senior Advisor to the Chair of the U.S. Commission on Civil Rights and published the book Ripples of Hope: Great American Civil Rights Speeches. Josh later served as Senior Counselor to the Chairman at the Federal Communications Commission. During his tenure, he was the first Director of Office of Public-Private Initiatives, partnering with private companies to break through roadblocks and solve national problems. These partnerships saved taxpayers money while helping law enforcement, boosting digital education, and creating jobs. Josh worked on cybersecurity, broadband adoption, combating cell phone theft, creating a new public safety emergency alert system, and expanding wireless spectrum. Josh used that experience to help create a nonprofit, JerseyOn, that has expanded access to high-speed internet for low-income New Jersey students to help them compete in the 21st Century economy. Before running for Congress, Josh worked at Microsoft as General Manager for Corporate Strategy, where focused on the company’s expansion into the cloud, e-commerce, and privacy. He was also a member of both the Ridgewood and New Jersey Chambers of Commerce, the Rutgers Business School Advisory Board, and was a visiting fellow at Princeton University’s Center for Information Technology. He also taught history at the University of Pennsylvania. Josh now lives in Wyckoff, New Jersey with Marla, his wife who was a federal prosecutor, and their two young children, Ellie and Ben. To download Josh's official headshot, please click HERE.